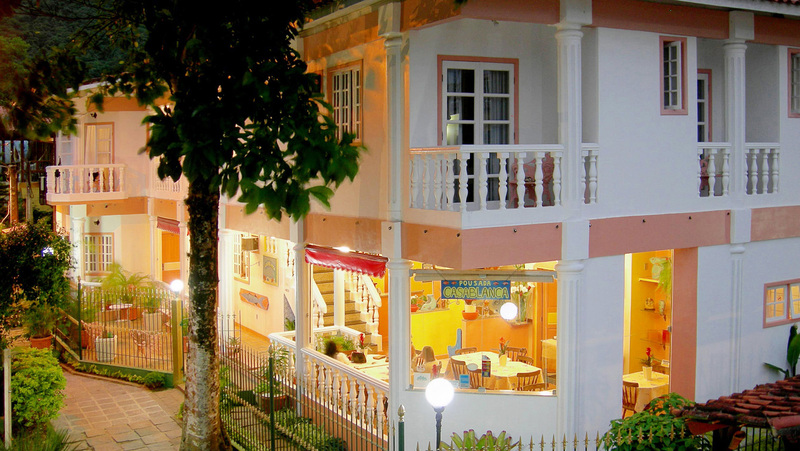 Located in the center of Abraão, in the main village of Ilha Grande, seventy meters from the beach, the Casablanca inn offers you a touch of sophistication, with a charming open area, Wi-Fi internet, breakfast included in the daily fee and a staff ready to attend to any request of our guests. The Casablanca Inn is located 70 meters from the beach of the tourist pier, where you can find several tour agencies. 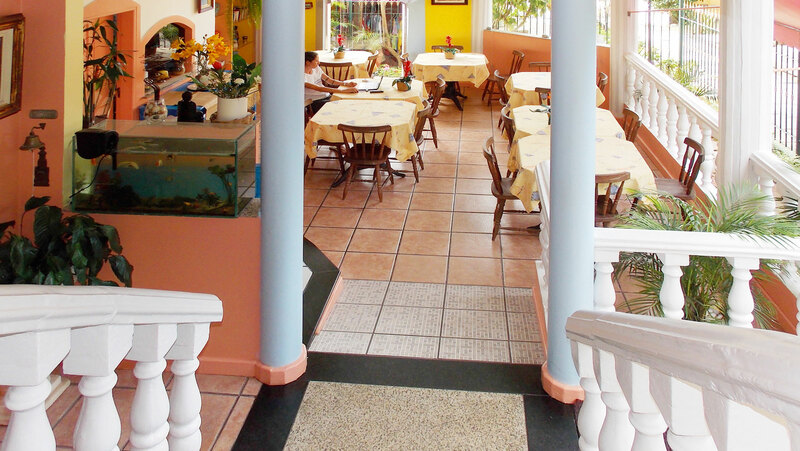 Around the pousada there are shops, boutiques and charming restaurants offering varied menus for dinner. In our self-service buffet you find among the fruits, juices, cold cuts and cakes the best for your personal menu. For your comfort all rooms are equipped with air-conditioners and ceiling fans. Stay connected ... the WiFi signal is available in the common areas of the Inn. All rooms are equipped with TV with Brazilian open channels. In front of the Inn we offer an open resting area where smoking is allowed. The double, triple and quadruple rooms are all light and airy and are equipped with lockers, double bed, single or bunk bed, LCD TV, minibar, air conditioner and ceiling fan. Bathrooms are tiled to the ceiling with granite countertops and hot shower. Almost all upper rooms have a balcony with partial ocean or mountain view. We will be happy to reply briefly to your request with all the information via the form below. To guarantee your reservation, we require from non-residents in Brazil specific credit card information. All children from 10 to 17 years are charged 30% of the room stay per night when using existing beds. We do not offer rooms with extra beds or cots. We accept credit cards: VISA, MasterCard and AMEX. Smoking allowed in common area open in front of the inn. Please be advised that there are no banks or ATMs on Ilha Grande. The inn is equipped with an emergency power generator for lighting, but the air conditioners in the rooms will be out of order as long there is no power on location. In accordance with legal regulations, in general, and in particular Embratur's regulatory deliberation No. 161/95 and the consumer protection code, cancellation of reservations or changes in their dates will be subject to the collection of fees and fines. 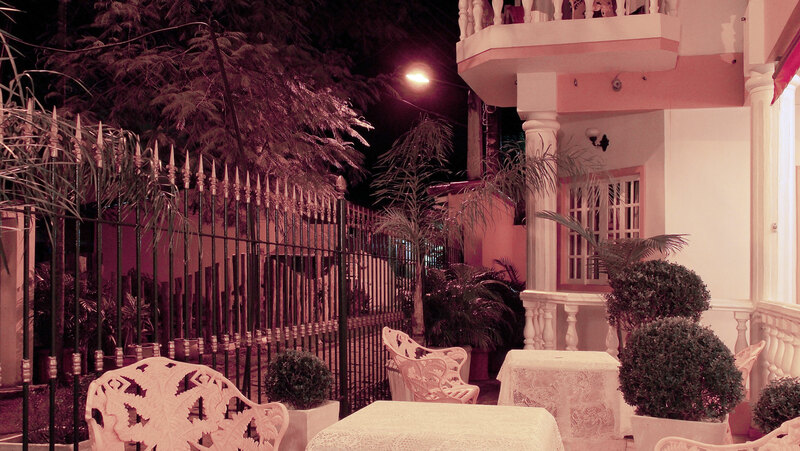 The guest must pay 50% of the total price in case of cancellation after booking. We are not responsible under any circumstances during the hosting for weather conditions (rain) or lack of electricity on the Island.